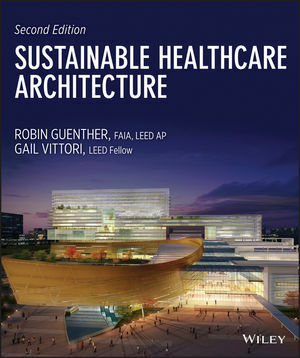 "With this book, Robin Guenther and Gail Vittori show us how critical our green building mission is to the future of human health and secures a lasting legacy that will continue to challenge and focus the green building movement, the healthcare industry, and the world for years to come." Written by a leading healthcare architect named one of Fast Company's 100 most creative people in business and a sustainability expert recognized by Time magazine as a Green Innovator, Sustainable Healthcare Architecture, Second Edition is fully updated to incorporate the latest sustainable design approaches and information as applied to hospitals and other healthcare facilities. It is the essential guide for architects, interior designers, engineers, healthcare professionals, and administrators who want to create healthy environments for healing. Sustainable Healthcare Architecture, Second Edition is an indispensable resource for anyone interested in the design, construction, and operation of state-of-the-art sustainable healthcare facilities. ROBIN GUENTHER, FAIA, LEED AP, a principal with Perkins + Will in New York City, is a leader in the design of sustainable, high-performance healing environments. GAIL VITTORI, LEED Fellow, co-director of the Center for Maximum Potential Building Systems in Austin, Texas, is a pioneer in green building protocols, policies, and prototypes.